John served as President of the Board of Trustees for three years and Vice President for two years. He was the Chair of the Board's Facilities, Infrastructure, and Technology Committee, which oversaw the construction of two major projects in Chinatown and Ocean Campus. John worked to smoothly implement the Free City program, which provides San Francisco residents with free tuition at City College. Voters in 2016 approved the program, which is funded by a tax on sales of property over $5 million. The goal was to put the complex program into action without making it harder for students to register. John is now working to make sure that the Free City program becomes permanent, as voters intended, instead of ending next year. He also pushed back against City Hall bureaucrats when they refused to fund tuition during summer session, in contradiction to voter's wishes. 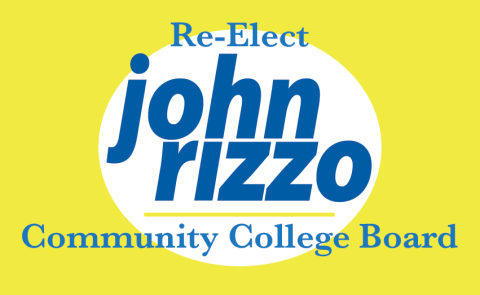 John will continue to fight to make sure City College is free every summer, fall and spring. John fought to bring the College out of the accreditation crisis of a few years ago. He took many trips to Sacramento and Washington DC to lobby our representatives, and testified before a US Department of Education Committee in Washington DC and before committees of the California legislature. After the courts ruled in favor of City College, John continued the fight until the State of California replaced the leaders of the accreditation commission. Winning also meant making tough decisions, including bring costs under control, bringing in auditors, and reforming management and hiring new administrators. John is a member of City College's Accreditation Steering Committee, making sure that the College continues to do the required annual planning and documenting. City College should be part of the solution to the housing crisis. That's why John authored a Board of Trustees resolution with Trustee Brigitte Davila. Because to this, we are on track to having City College's first affordable housing built for students, teachers and staff. Currently, the plan is to add 500 beds of student housing and up to 200 units of affordable housing for teachers and staff. This will be at the Ocean Campus. This is a good start, but John believes that City College can build up to 3000 units of affordable housing for students and staff at other locations owned by City College. For instance, the 750 Eddy building, which needs earthquake retrofitting, is a good prospect for a mixed-use housing and classroom building. John is working on the current effort for a 10-year-capital planning effort, so that we can identify other potential sites to house our homeless and low-income students and to attract and retain talented teachers and staff. The State of California ranks City College of San Francisco higher than most community colleges in the state. John has been working with the Board of Trustees and the administration to do even better, to close the achievement gap among African-American, Latino and Pacific Islander students. This effort is based on methods that have been proven to work. Part of the effort is to provide better counseling and more peer mentoring. Another part is helping students finish faster. Studies show that helping students finish faster raises graduation and completion rates. John is working on helping part-time students become full-time students through better counseling about available scholarship and financial aid opportunities. John is also working on changing the class scheduling has been conducted. Studies have shown that compressed schedules for lower-level classes enable students to get through requirements faster and reduce dropouts. Compressed schedules have the same number of hours for a regular scheduled course, but meet more frequently or are longer. John is also working on implementing block scheduling, in which all classes have the same starting times and are arranged so that students can take the courses they need one after the other, on the same days. City College is working on prioritizing scheduling for the courses needed for transfer to California State University and the University of California. Hybrid online/in-class courses so that busy students who also have to work can spend less time comminuting and more time taking more classes, while still getting the face-to-face time with teachers that is so important. Working with Bay Area and California 4-year colleges, CCSF will create so-called "2+2" programs, so that the curriculum enables more students to graduate City College in two years. Before President Trump was sworn in, John coauthored the College's Sanctuary Campus Policy, one of the first in the state. This policy mandates that campus policy will not cooperate with federal immigration agents, that student records will remain sealed, to provide information on students' rights and resources, and to make sure that undocumented students feel safe on City College Campuses. City College also wrote and amicus brief for a Sanctuary Cities lawsuit against the Trump administration. The lawsuit won in court, thus preventing the Trump administration from punishing cities and public colleges. As a long-time leader with the Sierra Club, John has worked to bring environmental policies and practices to City College, efforts that not only are good for the planet but also often save money for City College. John has also succeeded in constructing green buildings at the campuses, and is now working on the College's future buildings. He recently succeeded in having Sustainability added as a Core Design Principle for the 10-year Facilities Master Plan, an effort that has identified $1.3 billion worth of needed new buildings and retrofitted buildings. Having sustainability as a Core Design Principle means that green building elements will be required for every new building and remodel in the plan. Sustainable principles will be used in not just building elements, but in overall campus design. John is pushing for NET-Zero buildings in both the new buildings and retrofits. NET-Zero goes beyond the LEED standards in considering energy, water, sewage, and maintenance of the buildings. The retrofitting of old buildings rather than the removal of old buildings will prevent tons of debris from going into landfills. John has a record of implementing green building elements in the last round of construction: the Chinatown campus buildings and the Multi-use building, which are both LEED certified. 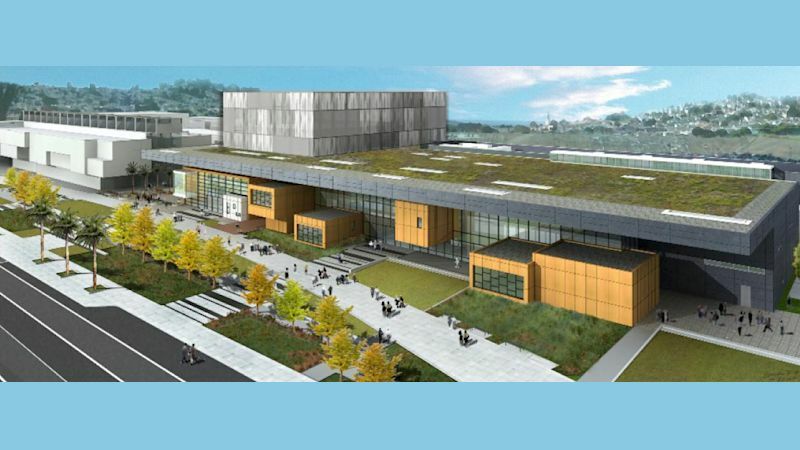 The College installed 500 geothermal wells that power the heating and cooling system of not just the Multi-use Building, but of the future Performing Arts Center as well. John passed a Board of Trustees bill that resurrected the Performing Arts and Education Center. A project approved by voters in 2001 and 2005, the Performing Arts and Education Center was cancelled by a special trustee during the accreditation crisis. John has been the Board's leading advocate to build the much-needed Center, which will contain three theaters, backstage areas, and facilities to train students not just in the arts but in the technical aspects of production. The building will also be available to local arts groups. The PAEC will house Diego Rivera's fresco, Pan American Unity, a 74-foot-long masterpiece created in 1940. The fresco is now housed in an old campus building that could not withstand a major earthquake. John is now working on the next steps, which include getting a completed design approved by the state Department of the State Architect and raising the funds needed for construction.